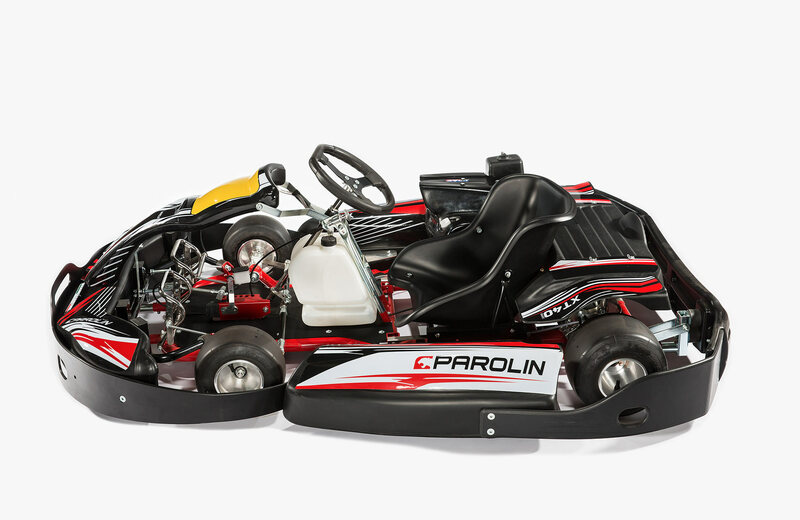 Several years of experience in rental karts led the Parolin technical department to build a kart capable to meet different customers' needs. The XT40 Line is the result of a long period of research and development, which is concretized nowadays in the XT40 Smart and XT40 Elite variants. Enjoyable to drive thanks to its comfort and lightness, the XT40 line presents a wide possibility of drive adjustment and an extreme ease of maintenance for the track owner. 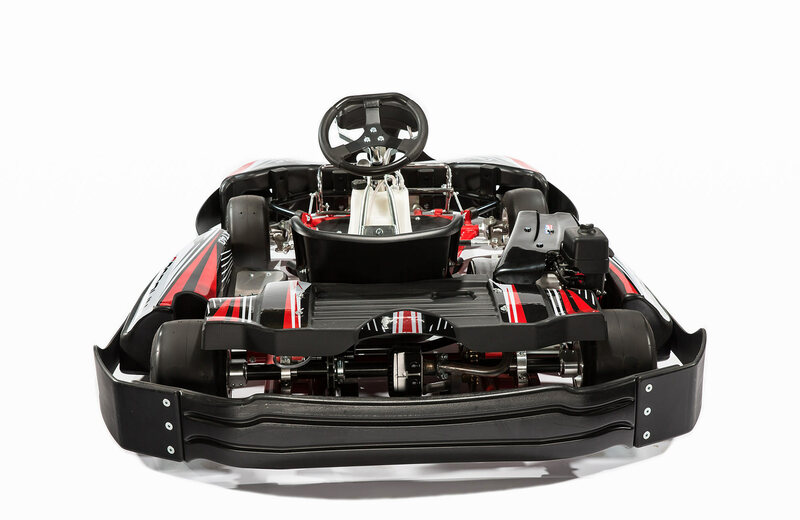 Another remarkable feature of the XT40 is robustness, essential on current rental karts, but without compromising its good looking and aerodynamic aesthetics. 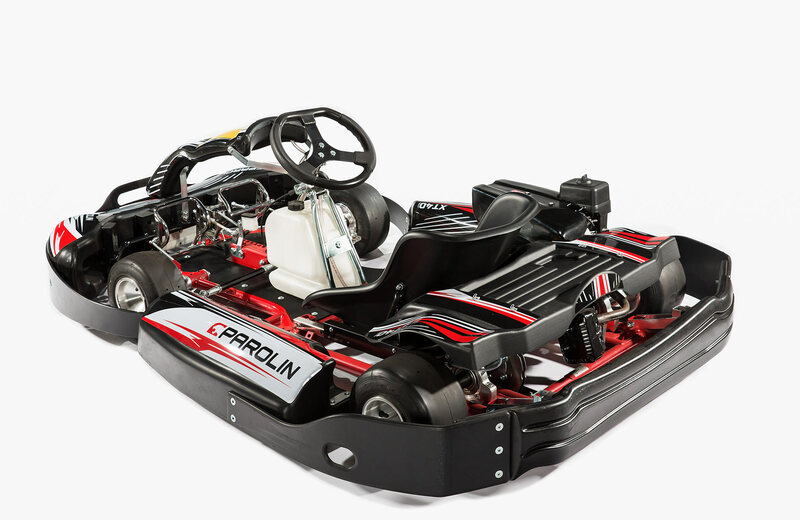 Totally built inside Parolin facilities with fine raw materials and ultimate technologies, this product represents the apex of the Company's rental range. 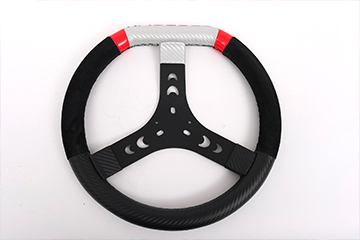 The 340 mm diameter racing steering wheel improves kart driving. 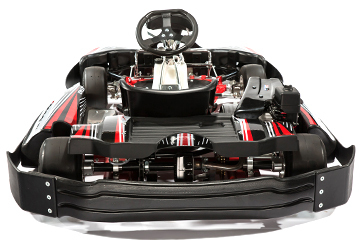 Thanks to its increased diameter, it facilitates steering and reduces driving fatigue. 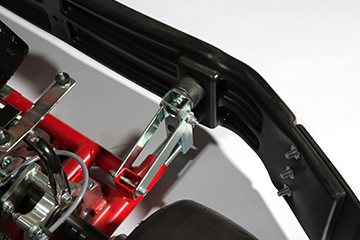 Easy to reach in any situation, the shutdown button allows the kart’s engine to be switched off in emergency situations. The Roll Bar, as well as the seat belts, raise the driver's protection to the maximum level in the event of a collision or overturning. The XT40 Smart can be equipped with five different engines: Honda GX120, Honda GX160, Honda GX200, Honda GX270 and Honda GX390. 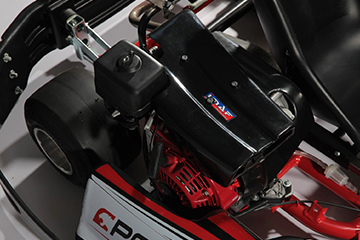 Honda engines performance ensure reliability and long maintenance intervals. The lead kit uniforms the weight of all the karts in the fleet. This system gives the same kart performance levels for each driver. The fairings cover the axle and transmission parts, a safety feature which avoids any type of contact of the moving parts with the pilot. The coupling system has been designed for quick dismantling during vehicle maintenance activities. 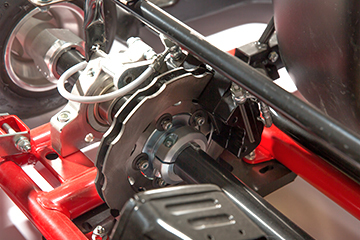 The hydraulic brake, derived from racing, ensures repeated braking without overheating the disc, which raises the vehicle’s safety level. Create your circuit to the highest possible standards using our X-Safety Barrier protection system. 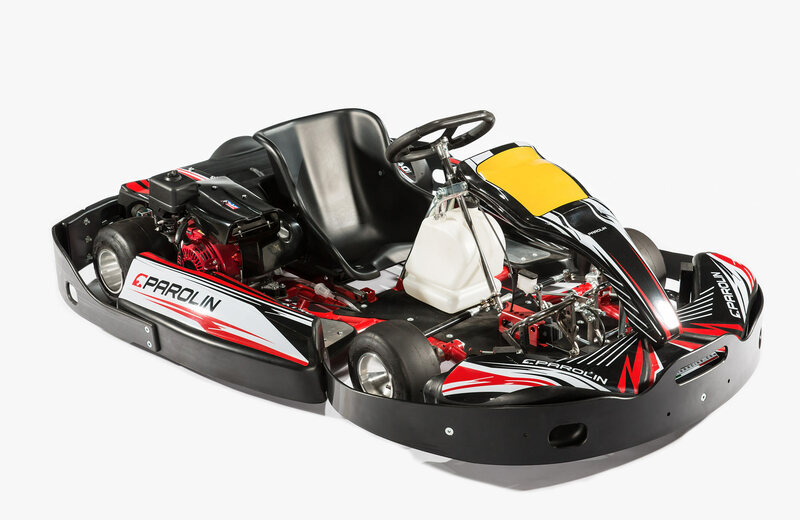 You can also trust Parolin Racing Kart to supply you with a complete timing system suitable for your facility. 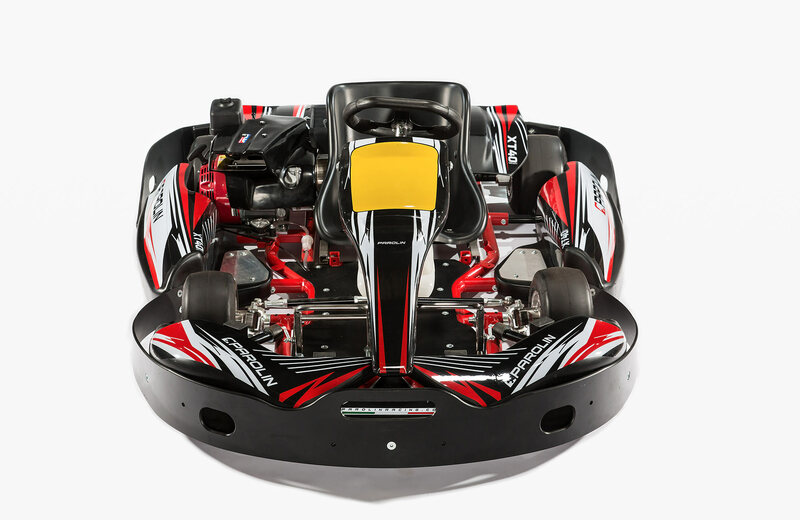 Take advantage of our extensive experience in the world of rental karting and utilise it to design the perfect circuit suitable for your specific available area or site.